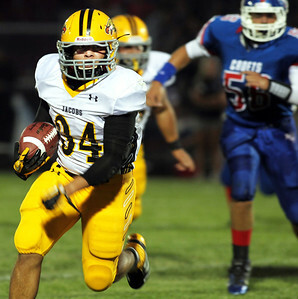 Jacobs speeds past Marmion 35-13. 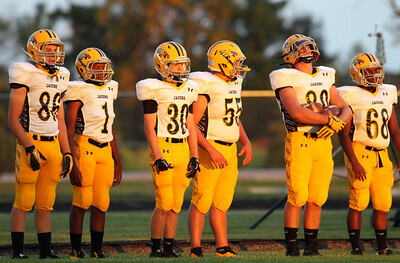 H. Rick Bamman - hbamman@shawmedia.com Jacobs players stand ready prior to the start of the game against Marmion in Aurora. H. Rick Bamman - hbamman@shawmedia.com Jacobs' Hunter Williams scores the first touchdown of the game ahead of Marmion defender Jake Ruddy in the first quarter Friday in Aurora. 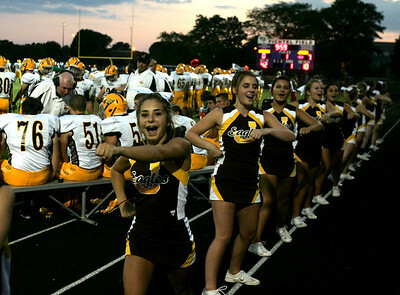 H. Rick Bamman - hbamman@shawmedia.com Jacobs cheerleaders perform following the team's first touchdown in the first quarter. 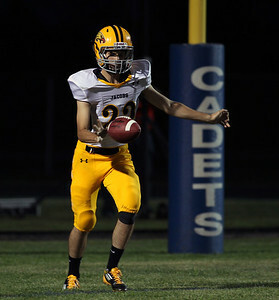 H. Rick Bamman - hbamman@shawmedia.com Jacobs' Matt Fahey punts from his own endzone in the first half. H. Rick Bamman - hbamman@shawmedia.com Jacobs' co-captain Adam Kulon heads back to the huddle. 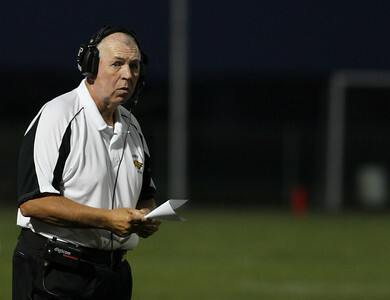 H. Rick Bamman - hbamman@shawmedia.com Jacobs head coach Bill Mitz watches a play come together against Marmion. H. Rick Bamman - hbamman@shawmedia.com Jacobs' defenders Hunter Williams (left) and Jake Dziewulski chase down Marmion's Jake Ruddy. H. Rick Bamman - hbamman@shawmedia.com Jacobs' Steven Vareta runs up field for a first down in the second quarter during the season opener against Marmion Friday in Aurora. 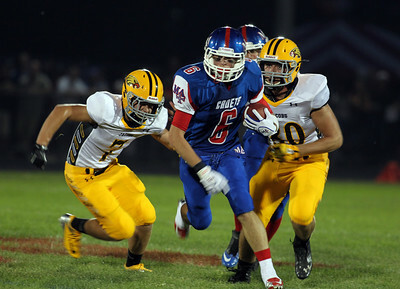 H. Rick Bamman - hbamman@shawmedia.com Jacobs'Adam Kulon (right) chases down Marmion's Brock Krueger for a loss Friday during the second quarter of the season opener Friday in Aurora. 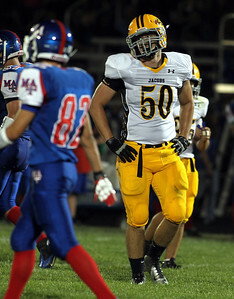 Jacobs' co-captain Adam Kulon heads back to the huddle.